Residents looking for a sophisticated community with cutting-edge amenities and features may find the perfect new home in the Social 28 community in Gainesville. Living at Social 28 will give you the opportunity to experience a modern, trend-setting living environment with contemporary units and sleek architectural designs. Overlooking UF's campus, this location is the ideal place to meet new friends and enjoy all the unique dining and entertainment options in the area. Dedicated services and modern furnishings make Social 28 one of the top choices for modern, luxury living in Gainesville. With a multitude of floorplans to choose from, you're likely to find the apartment of your dreams at Social 28. All floor plans at Social 28 are leased individually so that you never have to worry about your roommate's rent or utilities. Still need a roommate? Their team offers an expert roommate-matching process to help you find your newest friend at UF. The rent also includes a modern furniture package in the common area as well as each of the private bedrooms and a 50" flat screen TV in every living room. In the Floorplans section, you can view the layouts on this community page and determine which arrangement is best for you and your budget. All units come with a washer and dryer included, as well a kitchen featuring modern two-tone cabinetry and sleek, energy efficient, stainless steel appliances including a microwave, oven with glass stove top, dishwasher, garbage disposal, and refrigerator. One of the best features of Social 28's floorplans is that they are only 28 steps from campus and many of their units feature views of the University of Florida campus. Social 28 provides their residents with unique and sophisticated amenities that are sure to impress your guests. This luxurious community features a rooftop swimming pool with pool-side fireplace, cabanas, grills, and an enormous flat screen TV perfect for watching the Gator game with friends. Stay healthy and fit with exclusive access to two state-of-the-art Fitness Centers or relax and study in your open Green-scape courtyard. Social 28 is completely exclusive with keyed community entry and a Smartphone App that makes non-resident entry convenient for you and your guests. You won't need a car since Social 28 is just 28 steps from campus, but if you're bringing a vehicle you will have access to a covered garage featuring automated car parking. Residents who love a contemporary look but don't want to sacrifice location and mindful living will definitely want to consider Social 28 in Gainesville. Just a few moments away from campus and Downtown nightlife, this community will allow you to experience the heart of the city and make the most out of your Gainesville experience. You'll be able to live your UF dream at one of the closest communities to campus and be within walking distance to some of the most popular destination in the area, like the Ben Hill Griffin Stadium! To visit Social 28 today, click on the "Schedule a Tour" section of this page and enter your information so we can help you make an appointment to experience this brand new luxury community in person! Hang out in the Rec Room featuring ping pong, vending machines, and lounge area with TVs. Get social at weekly resident events - recent events include make your own acaii bowls and free Chick-Fil-A! 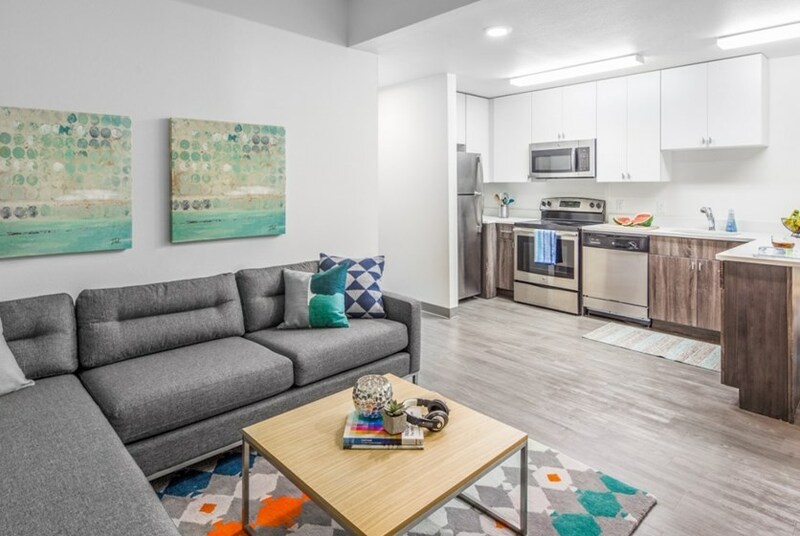 Sign a lease to reserve your spot for Fall 2019 and receive a waived leasing fee ($300 savings)! We've sent your message off to Social 28. If you'd like to chat with the staff immediately, feel free to call them at (352) 415-9361. If you would like to chat with the Social 28 staff before your tour, you can call them at (352) 415-9361. We're checking availability for you now! Someone from the leasing team will contact you shortly. Meanwhile, please feel free to call Social 28 at (352) 415-9361.